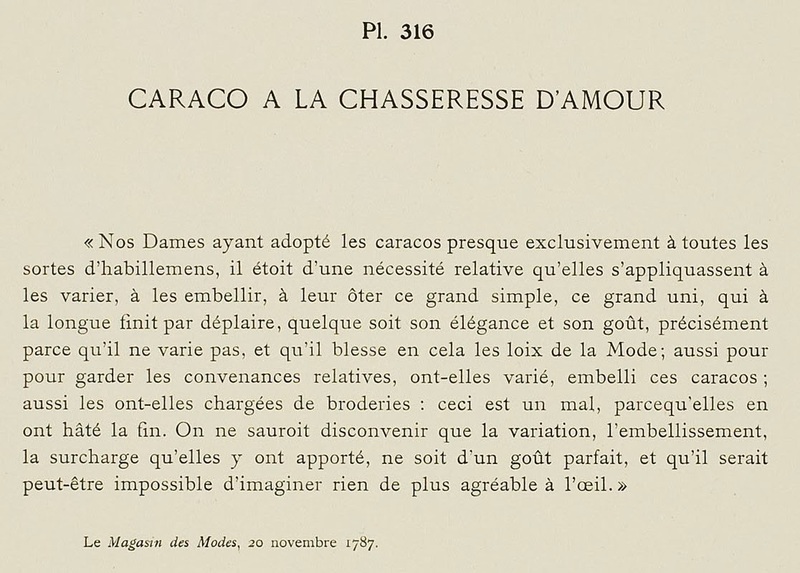 The amiable Suzette Dressed in a Caraco à la Huntress of Love. She is thinking about a rende-vous with her dear Philinte. 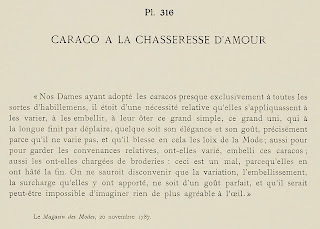 "Our Ladies having adopted caracos almost exclusively for all sorts of dress, it was a relative necessity for them to apply themselves to varying them, to embellishing them, to deprive them of this great simple, this great plain, which in the long run finishes by displeasing, regardless of her elegance and taste, precisely because it does not vary, and because it wounds the laws of Fashion; also in order to guard the relative decencies, have they varied, embellish caracos; also have they laden them with embroidery: this is a bad one, because they have hastened the end of it. One only knows how to disagree with the variation, the embellishment, the overloading that they have brought to them, not be a perfect taste, and that it would be maybe impossible to imagine anything more agreeable to the eye." 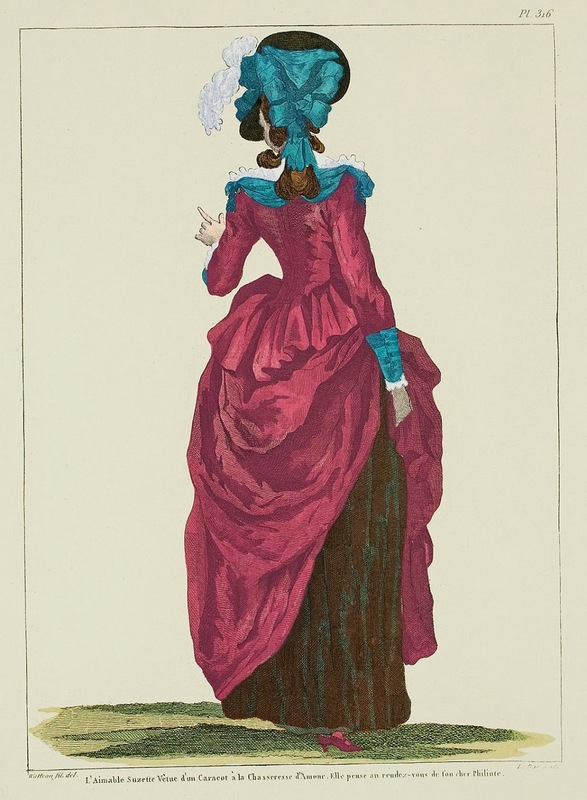 At the first glance it almost looked like 1880s, especially because of that pulled-up skirt! Yes, you can really see where they got it from!